-- PodCamp Boston 3 is proud to welcome Blip.tv, Blubrry Podcasting Network, ooVoo, matchmine, MarketingProfs and MarketWire as Sponsors. -- PodCamp Boston 3 is taking place July 19-20, 2008 at the Joseph Martin Conference Center at Harvard Medical School in Boston, MA. PodCamp Boston 3 is the new media community UnConference that helps connect people and companies interested in blogging, podcasting, social networks, video on the net, and new media for three days to learn, share, and grow their new media skills. -- PodCamp was founded by Christopher Penn and Chris Brogan and is run by a dedicated group of volunteers from across the New Media community. -- Blip.tv is an online television network that features, promotes and monetizes the best independent shows on the Web. -- Blubrry is a social podcasting community that connects podcast producers, advertisers and everyone looking for great independently produced content. -- ooVoo provides a high-quality video communication service that delivers a more meaningful way for people to talk face-to-face over the Internet. ooVoo's award-winning technology enables up to six people to have a video conversation -- as if they are in the same room together -- whether they are across the street or across the globe from each other. -- matchmine LLC is the media discovery company that delivers personalized recommendations for movies, music and other online content anywhere on the Web. 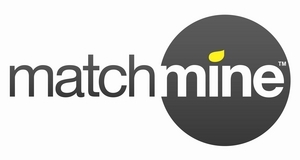 matchmine lets users easily create, store, and evolve a sophisticated digital representation of their personal interests and tastes online, called a MatchKey™. -- MarketingProfs specializes in providing strategic and tactical marketing know-how for marketing and business professionals in organizations worldwide through a full range of online media. -- The only fully integrated North America-based global newswire, Marketwire, Inc. is a full-service partner to IR, PR and MarCom professionals seeking top-tier news distribution, media management, multimedia and monitoring solutions. "On behalf of the organizers and attendees of PodCamp Boston, I would like to thank all of our sponsors for their generosity, without which PodCamp cannot operate at the high level we have set." -- What is an UnConference? PodCamp Boston 3 is the new media community UnConference that helps connect people and companies interested in blogging, podcasting, social networks, video on the net, and new media together for three days to learn, share, and grow their new media skills. Whether you're just interested in new media or an experienced veteran, PodCamp Boston 3 is for you! PodCamp Boston 3 will be held July 19-20, 2008 at the Joseph Martin Conference Center at Harvard Medical School in Boston, MA. More information at www.podcampboston.org.